← Move on, Move forward. Well, it’s supposed to be a rainy day. But it’s not raining. I almost wish it were. Then I would have every excuse to just be lazy and watch movies or something… but I don’t have the motivation to do the things that I wanted to earlier today. It has been a weird day… waiting for rain makes me feel more anxious than I have been anyway. I don’t know why I’ve been feeling so anxious for the last couple of days. I mean, I know this place is boring, but I usually find things to do that keep me from going crazy. I’m still doing those things and staying pretty busy, but I think I might be going crazy. All I can think about is the next time I can get out of town… which is in about 47 hours. And one minute. I also can’t stop thinking about the last time I had a pretty good time… it could have been better, but not by too much 😉 I guess there’s always a next time for most things… but next time isn’t soon enough. I walk through the forest almost every day, go to work, come home and try to get things done, but all of it seems too repetitive, and I’m ready for change. 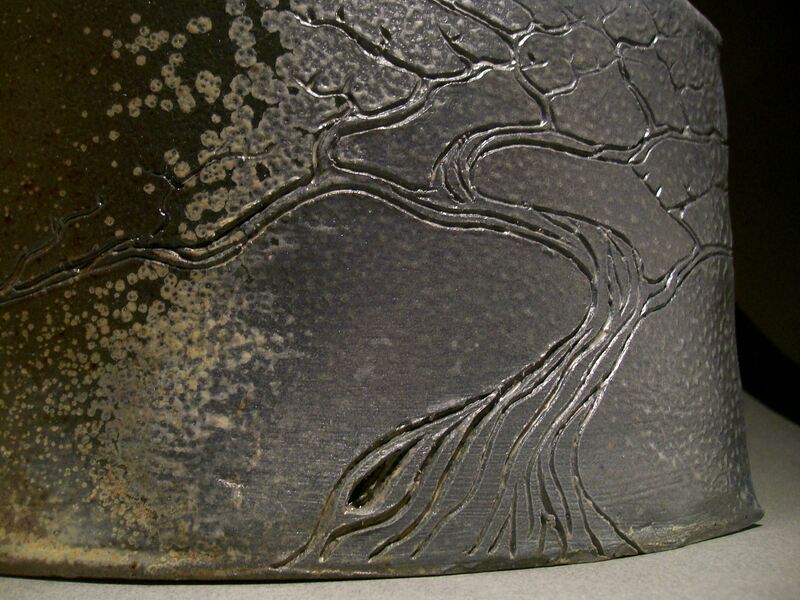 This entry was posted in Art, Ceramics, Daydreaming, Drawing, Nature, Painting, Photography, Science, Sculpture and tagged atmospheric firing, bonsai, carving, ceramics, crystal growth, forest, kiln, park, pottery, routine, small town life, trees, wood ash, wood fired, wood firing. Bookmark the permalink.